How do I know which size is right for my baby? What is your international shipping policies and cost? I did not receive a confirmation order e-mail. Did you receive my order? Why did my order get cancelled or placed on hold? Can I get my order sent faster? Q: How do I know which size is right for my baby? A: Sizing for any baby can always be tricky. Why not take a look at our size chart for an easier time ordering. If the item does not fit your baby properly, you can return it for a refund or exchange the item for the correct size. Please note, we cannot pay for return shipping on incorrectly ordered sizes. Q: Do you have any gift options? A: Sending your items as a gift? No worries! We do not include any prices with your package. We do include a packing slip that lists the items ordered by size and color (but not prices) so you can make sure we got everything right! Q: What is your international shipping policies and cost? A: We offer shipping internationally to almost all countries. For an international shipping rate, please place the items you are interested in purchasing into your cart and continue to check out. Before completing your purchase, a shipping rate will be provided for you for USPS Priority International and FedEx International shipping. Please note, when buying and shipping internationally through Baby Mall Online, you must pay through PayPal. We cannot accept international credit cards at this time. Sorry for any inconvenience this may cause. A: Baby Mall Online is pleased to accept Visa, MasterCard, Discover, and American Express. We also accept payment through PayPal. Q: I did not receive a confirmation order e-mail. Did you receive my order? A: We apologize for this inconvenience. Please consider checking your spam mail for one of our order confirmation e-mails. If you did not receive the email in Spam, then this may mean that our bank has declined your credit card and your order was not placed. You may still see the funds on hold in your account because your bank allowed the transaction while ours did not. Your money should be returned within 1-2 business days. Transactions that did not go through are often caused by the incorrect billing address when placing your order, or payment sent from an international bank that was not accepted. Please double check your information or try paying through www.PayPal.com. We apologize for any inconvenience this may have caused. Q: Why did my order get cancelled or placed on hold? A: We certainly apologize for the inconvenience! Most orders are cancelled or placed on-hold because your credit card or PayPal information cannot be verified by our bank. This is mostly caused by international cards being used, billing address on your order does not match your credit card/PayPal details, or out of country shipping addresses. We understand that this may be extreme; however, we are taking precautionary measures to protect our customers from fraudulent activity. If your order was cancelled, the amount of your order has been refunded back to your account, please allow a couple of days for this to process. If you paid with credit card, and would like to continue with or replace your order please pay through www.PayPal.com. By logging into your PayPal account or signing up for a new account, please submit payment through PayPal to payments(AT)babyvision(DOT)com. Once you have done this, please email us your PayPal Payment ID & Order number so we can check our bank records and make sure all your information matches; (email, name, and shipping address must be confirmed). If the order is cleared we will then release the order and we can ship out as soon as possible for you. If you paid through PayPal, please have PayPal verify and confirm both your shipping address and your account. E-mail us at customercare@babyvision.com when this is complete so we can continue with your order! Q: How do I pay through PayPal? A: If you are paying through PayPal, please make sure all your information matches; (email, name, and shipping address must be confirmed). By logging into your PayPal account or signing up for a new account, please submit payment through PayPal to payments(AT)babyvision(DOT)com. If you have any payment issues with pay pal please call PayPal Customer Service: 1-888-221-1161 1-402-935-2050 (if calling from outside the U.S.) Please see below steps in verifying your PayPal account: To Verify your PayPal account, just link your bank account to your PayPal account or be approved for PayPal Smart Connect or the PayPal Plus MasterCard®. We ask customers to take the extra step to verify their accounts to help make PayPal even safer for everyone. When you're verified, it means that you've provided a little more information about yourself to help confirm your identity. After you get verified, we'll lift your limits so you can send or withdraw more money. Here's how to verify your account: 1. Log in to your PayPal account. 2. Click Get Verified on your Account Overview. 3. Select the verification method you want to use. 4. Enter your information, and then click Continue. 5. Click Confirm, and then click Submit. Q: Can I get my order sent faster? A: We offer rush delivery options by FedEx Priority Overnight, Standard Overnight and 2Day services. Please select this method of shipping speed when you place your order and simply specify your rush delivery option at checkout in the "Add Comments About Your Order" box. A: Haven't received your order? No worries, we are here to help! We ask first that you please checked with your local Post Office. Sometimes USPS will hold packages there without notice. If your PostOffice does not have it, please contact USPS Customer Service, 1-800-ASK-USPS® (800-275-8777), with your tracking information, and ask where exactly the package was delivered. If they cannot help you, please contact us and we can proceed with resolving this issue. 1. 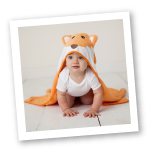 Baby Mall Online can only accept returns of merchandise purchased from our website. Products purchased at another retail outlet will not be accepted. 2. All unused, unopened merchandise in original packaging returned within 30 days of receipt with a valid RAN will be credited 100% of purchase price excluding shipping and handling charges. 3. Damaged or incorrect merchandise due to our error will be refunded or exchanged at no additional cost. Please contact us within 1 week or receipt of your order to resolve the issue. 4. All closeout or seasonal merchandise is final sale and is not returnable. 5. All returns made outside of the 30 day policy without authorization may be charged up to a 25% restocking fee. It is the discretion of our returns department. 6. Items returned that are washed, worn, torn, dirty or outside the original packaging will be up to the discretion of our returns department. We may not be able to process an exchange or refund for returned goods or guest may be charged up to a 25% restocking fee. A Division of BabyVision, Inc. In your return, please make sure to include a copy of your packing slip. If you do not have a copy of your packing slip, please include the order number, or a legible telephone number and/or email address at which we can reach you in case we have any additional questions. Please make sure you have your tracking number available before calling or checking on the status of your return. All returns are processed within two days of arrival at our facilities. All credits will be refunded to the credit card used at the time of processing your return. Please allow 5-7 days after receipt and inspection of the returned items for proper credit, as it will take time before the refund appears on your card. Baby Mall Online reserves the right to refuse any returns upon final review if all above guidelines have not been met. A: Thank you for your interest in BabyVision products. For bulk or wholesale orders, we offer a complete line of soft infant products under the Luvable Friends, Hudson Baby, Yoga Sprout and Nurtria brands. We specialize in working with small businesses by offering competitive prices, low minimum orders and prompt delivery. You can visit our online wholesale store . For additional information on becoming a wholesale guest, including pricing, please feel free to e-mail us at sales@babyvision.com. Please also include additional details about your store, including Tax ID, type of store, location(s) and contact information. We look forward to working with you.